UK-based Moltex Energy on 13 July signed an agreement for the first deployment of its SSR-W nuclear reactor in Canada’s New Brunswick province, weeks after being selected as a winner in the UK government’s Advanced Modular Reactors competition. New Brunswick Energy Solutions Corporation and New Brunswick Power have selected Moltex to progress development of its Stable Salt Reactor - Wasteburner technology, with the aim of deploying its first reactor at the existing Point Lepreau nuclear site before 2030. The agreement provides CAD5m ($3m) in financial support to Moltex for its immediate development activities. Moltex will open its North America headquarters in Saint John and build its development team there. The SSR-W is a conceptual UK reactor design with no pumps, which uses convection from static vertical fuel tubes in the core to supply heat to the steam generators. The nuclear fuel assemblies are arranged at the centre of a tank half filled with the salt, which transfers heat away from the fuel assemblies to the steam generators. The core temperature is 500-600°C, at atmospheric pressure. Moltex has also proposed its GridReserve molten salt heat storage concept to enable the reactor to supplement intermittent renewables. Both fast and thermal versions were submitted in the UK competition for SMR designs, although Moltex’s development focus is on Canada and it has applied for Phase 1 of the Vendor Design Review with the Canadian Nuclear Safety Commission (CNSC). The CNSC is currently pre-licensing vendor design reviews for ten small reactors with capacities in the range of 3MWe-300MWe. Moltex CEO Stephen Haighton described the Moltex stable salt reactor technology is a "perfect fit" for New Brunswick’s power needs. “It uses spent nuclear fuel, which could help solve the province’s future spent-fuel disposal challenge," Haighton said, adding that the physically small modular reactor is also able to store energy. "Most importantly, the stable salt reactor technology produces very low-cost, clean energy and can reduce the cost of electricity to consumers while achieving low-carbon targets,” Haighton noted. Moltex said its SSR technology “has been competitively selected, and is being financially supported, by two experienced expert government organisations as a particularly promising advanced nuclear technology deployable at grid scale (300 to 3000MW)”. The company sees “excellent synergy between the UK and Canada”. Capital cost per kW similar to a combined cycle gas turbine plant but with far lower running costs. 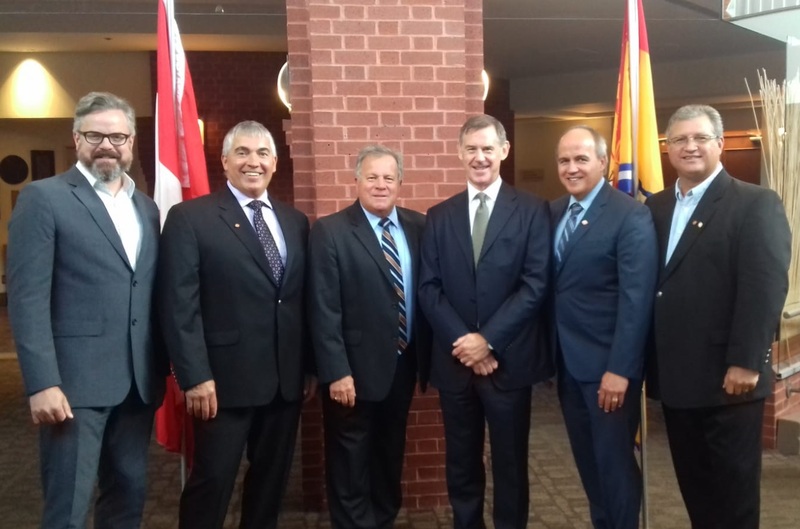 In June, the New Brunswick government committed CAD10m to support the New Brunswick Energy Solutions Corporation in developing a nuclear research cluster in the province, hoping to position the province as a leader in the research and development of SMR technology. New Brunswick Energy Solutions Corporation is a joint venture set up in 2017 by New Brunswick's provincial government and NB Power, operator of the Point Lepreau NPP. Earlier in July, Advanced Reactor Concepts (ARC) was announced as the first partner in the nuclear research cluster. ARC is developing a 100MWe integrated sodium-cooled fast reactor with a metallic uranium alloy core (ARC-100). Natural Resources Canada earlier this year launched a process to prepare a roadmap to explore the potential of on- and off-grid applications for SMR technology. Canadian Nuclear Laboratories has set a goal of siting a new SMR on its Chalk River site by 2026, and Canadian company Terrestrial Energy began a feasibility study in June 2017 for the siting the first commercial Integrated Molten Salt Reactor at Chalk River.